I BAKED! The core of Food & Lycra and around 80% of our conversations is about food. It's our passion, whether we eat it or cook it. I'm sure, as most of you have gathered, I'm on the eating end of the scale, but ladies and gents, I'm almost a changed woman. I've been busy by the hob twice over the last fortnight (small steps init). Anyway, the other day after discussing with a colleague our love of figs, fig rolls, fig season and her homemade healthy fig rolls...basically bare fig talk....I ventured into my local Turkish mini market to buy some bits to make my very own version of gluten free rustic fig rolls! 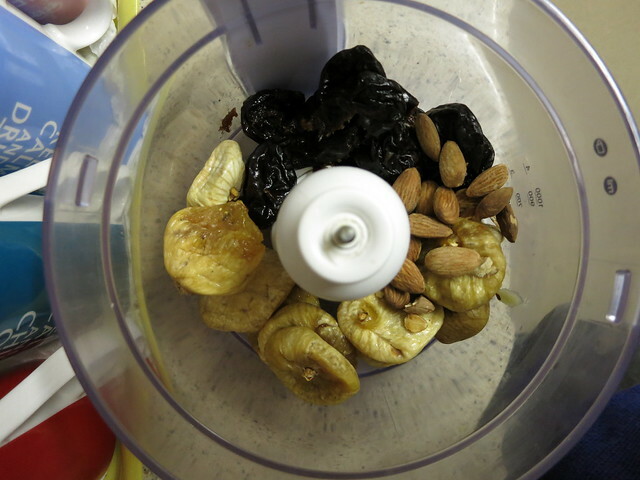 I used a combination of dried figs and dried prunes to get in that extra fibre goodness aka foods that make you poo. Normally you would use dates instead of prunes, but I got confused between the two, LOLZ (prunes work just as well btw). 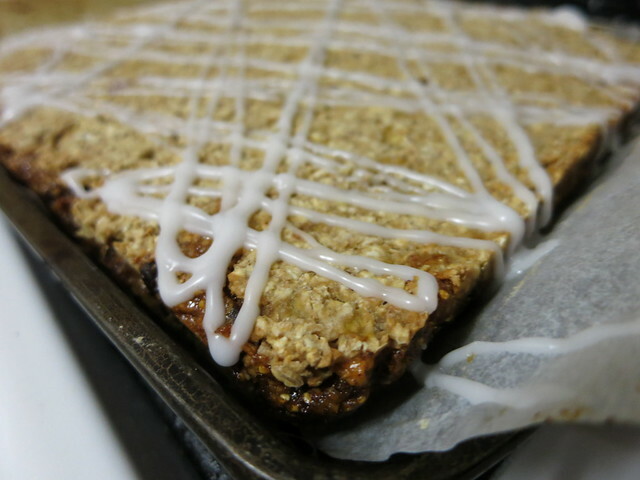 I use the term "rustic" for my fig rolls because I basically forgot to grind my oats, so it gave my rolls a lot more...texture...making it similar to an oaty breakfast bar. If you want a more cake like consistency, blend your oats fam! 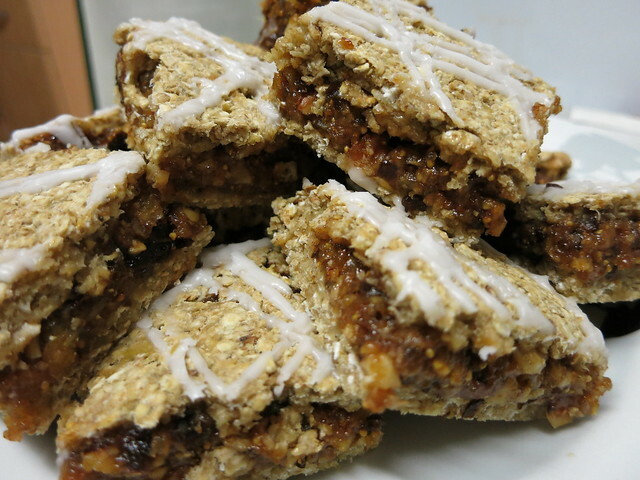 These are perfect for breakfast, snacks, post workout or to get your bowels werking! 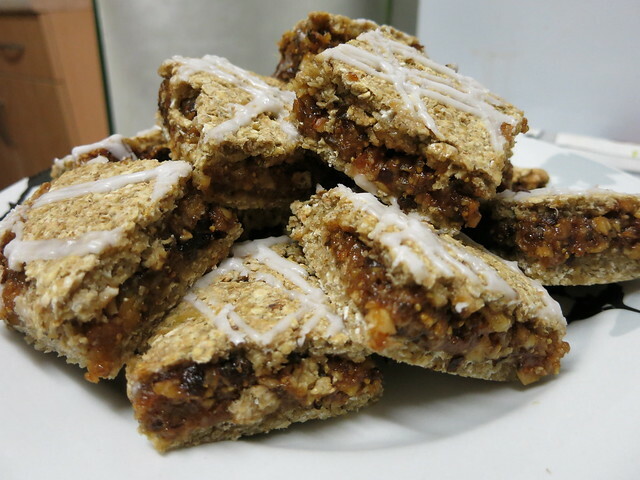 The Rustic Fig Rolls will cost about a fiver to make, and yes, fig rolls are only £1 in the supermarket, but think about how much healthier, and less sugary these homemade ones are! Now lets bake in 5 easy steps! 2. 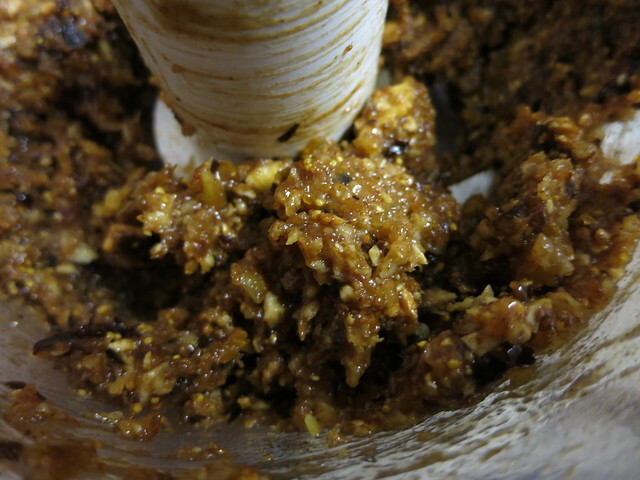 Add figs, prunes (or dates) and almonds into a food processor and grind until it clumps together in a corse paste. 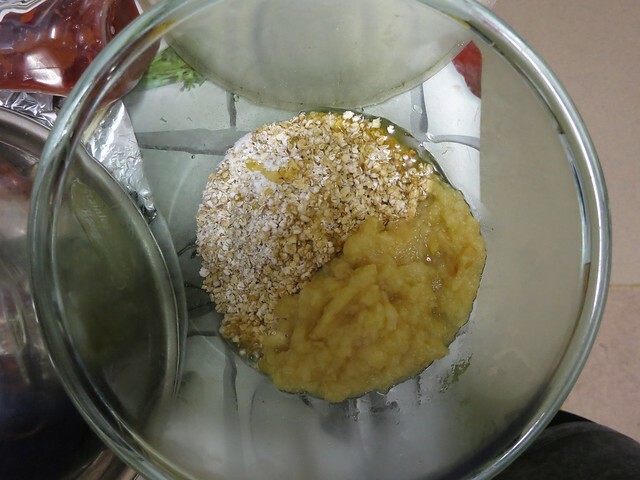 Then add the honey, water, lemon juice and spices and grind until you get your desired consistency - some like it with more bits, some like it smoother, totally up to you. 3. 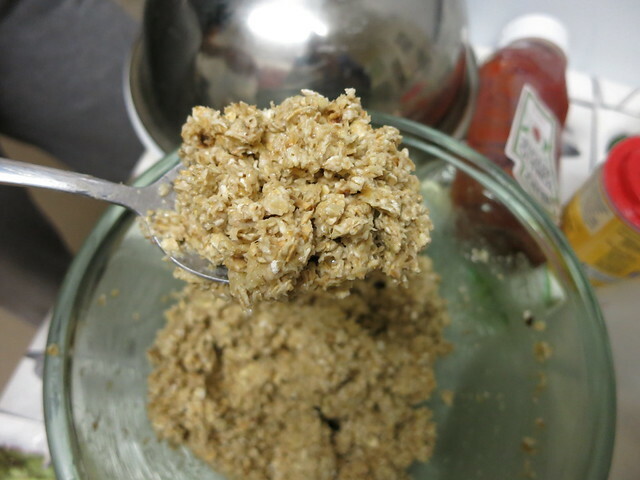 In a large bowl, combine your two variations of oats with the gluten free baking powder and salt. Now stir in your liquids: homemade apple sauce, honey and water. Keep stirring and work those biceps until you get the consistency you want - if you want it a bit drier, add more oats, if you want it a bit more pastry like, add a little more water. 4. Grease your pan (or cut a bit of grease proof paper and line it) and use half the crust mixture for the base of your fig rolls. Again, the thickness of the base is up to you. Spread it evenly, then spread the fig mixture over the crust, and finally top with another even layer of the crust mixture over the fig. 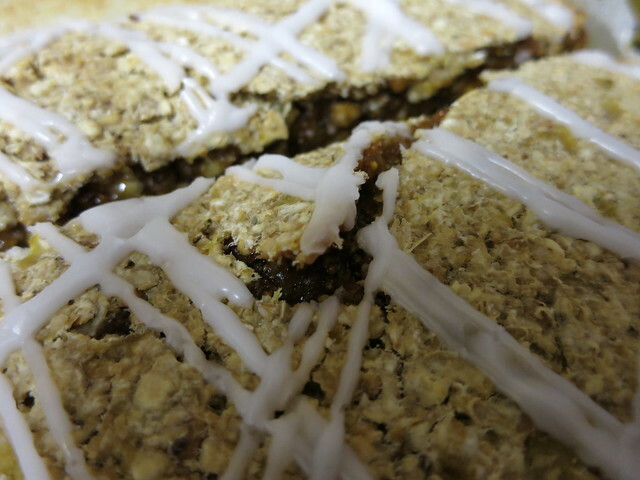 Tip: as the oat mixture is quite thick, and the fig mixture sticky, it can be quite difficult to spread. Using a heated metal spoon (dip in boiling water) will make it A LOT easier. 5. Cook for about 30 minutes, or until golden brown. Leave to cool, and decorate with icing sugar if you want to be fancy (plus, it will make for better pictures) and then cut it into bars or cubes! If you guys make this, be sure to take a picture and tag #foodandlycra on twitter or Instagram! We love seeing out recipes recreated.